This rendering of the lower L.A. River shows a proposed "active river edge" while still maintaining flood control functions of the current river. The lower L.A. River — roughly the 19-mile portion between Vernon and Long Beach — stretches along a treeless corridor marked by pollution, poverty, and according to local officials, great opportunity. 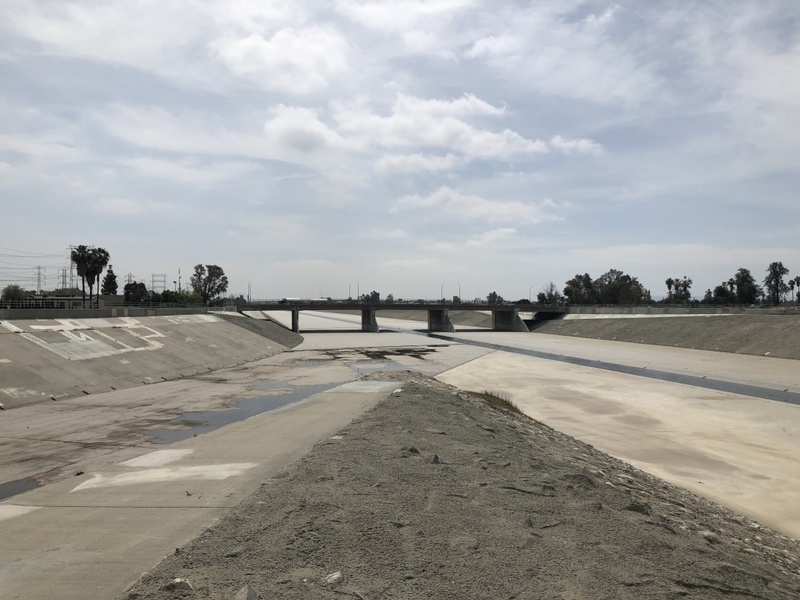 "The river does not look nor feel like a river nor a great place to be," stated a report compiled by the Lower L.A. River Restoration Working Group. But, there's hope. That report, which contains preliminary plans for the river was formally signed by L.A. County Supervisor Hilda Solis and Assembly Speaker Anthony Rendon at a ceremony in South Gate Friday. 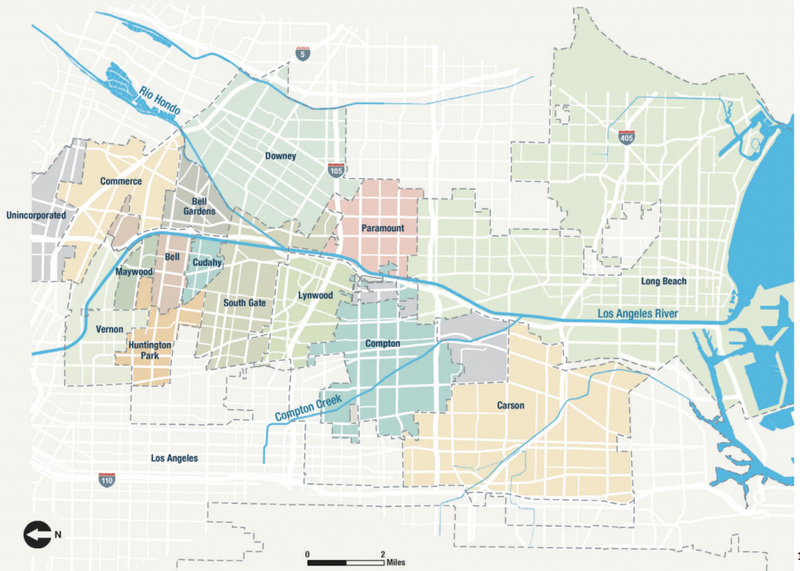 Map shows the lower L.A. River zone which expands a mile on either side of the river from Vernon to Long Beach. The plan's focus is on adding park space and bike lanes. The goal is to have safe crossings for pedestrians, bikers, and equestrians to link the various cities that fall along the riverbanks. The hope, according to the report, is for affordable housing developments and small businesses to also go up along the riverfront. While the upper regions of the river have seen dramatic shifts in recent years—the banks of the river in Frogtown now host a couple coffee shops, bike trails, a bike repair shop, kayak rentals, and concerts—the lower stretches have not seen as rapid improvements. Who lives along the lower river? The river here winds through cities and neighborhoods predominantly occupied by people of color. 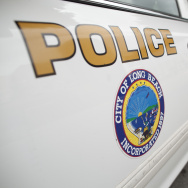 "This is an environmental justice issue," said L.A. County Supervisor Hilda Solis. "The people out here in the southeast area have suffered from highways, from pollution, from locomotives, from the ports, and yet don't have any parks and open space here." The river, she said, presents one of the last areas of undeveloped open space to provide those resources. "I see bikes, I could see trails that just need to be repurposed, people could come out, have concerts here," she said. A view of the lower L.A. River today. Plans call for a reimagined riverfront. 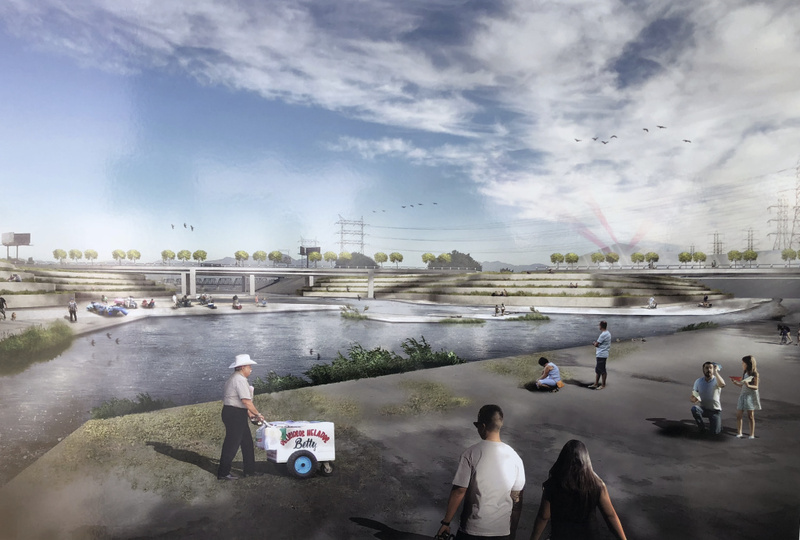 The vision is a striking contrast to the backdrop of the signing ceremony, which took place where the L.A. River meets the Rio Hondo—a place where two concrete channels become one. And hosts a high rate (64 percent) of households that are low-income. 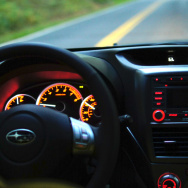 To reverse those trends, the group came up with 155 project proposals, which would require various layers of funding and local authorization to pull off. The Rio Hondo site, for instance, is envisioned as a grassy park, tree orchard, and community center. 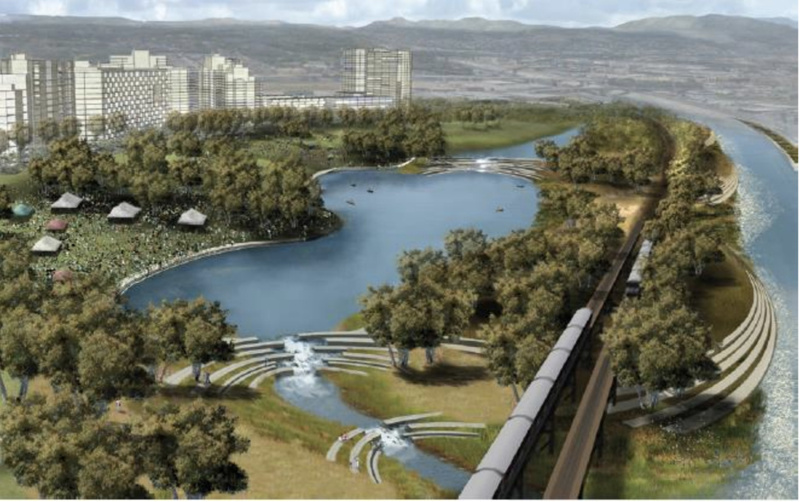 A rendering of how the Rio Honda confluence could look under a plan to revitalize the lower L.A. River. The Rio Hondo project could cost anywhere from $40 million to $600 million depending on which of the several versions of the site plan are financially viable, said Mark Stanley, executive officer of the San Gabriel and Lower Los Angeles Rivers and Mountains Conservancy. Part of the project, the park space, is already being built. There are public funding mechanisms available to cover some of the costs, he said, and others in the works. Namely, Proposition 68, a $4 billion state bond for water, parks, and environmental projects on the June 2018 ballot. Park poor areas around the state are looking to that potential funding for big-scale projects, he said. That said, a perpetual concern for those looking to improve resource-disadvantaged areas is what renovation can bring: namely, gentrification. The panel noted that the river plan "must be a model of equitable redevelopment," and pointed to specific spaces, including a spot in Cudahy slated for a new park, where affordable housing developments could go up. Small businesses are also expected to be a part of the revitalization effort, with the hopes that a vibrant set of shop fronts could open up along what is now a primarily concrete, industrial zone.